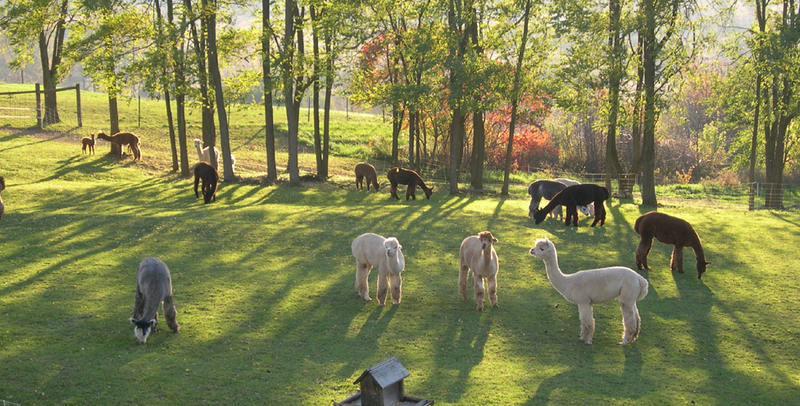 Hemlock Hills Alpaca Farm is a farm located in Livonia, New York owned by Bob & Mary Ann Thompson. Escape life's bustle....... Come visit and enjoy! Our 75 acre farm overlooks the picturesque Hemlock Valley of upstate NY. When you visit you'll experience the beauty of these regal animals as well our unique Western Little Lakes region. We started our Alpaca adventure back in 2000; giving us so much to share! Tours.....as well as garden nutrients. We are committed to top notch customer service & support. Corrigan & Madigan our Twins! Alpacas were domesticated some 6,000 years ago by the native people of the Andean Altiplano and cherished for their luxurious fiber. Today alpacas now live throughout North America, Europe, Australia, and New Zealand as well as in their native lands and the fiber is often compared to cashmere for luxury and wool for warmth. Alpacas have a very gentle but cautious dispositions. They have a high level of both intelligence and curiosity, making them a true joy to keep. These "easy keepers" have a minimal impact on the land itself and consume very little feed. In comparison to cattle or horses that routinely consume 50+ pounds of feed per day, the alpaca's daily consumption of just @ 2 pounds of hay makes them very economical to care for. The actual costs of per year of care /feed is only about $300/year per animal once you have established your farm. 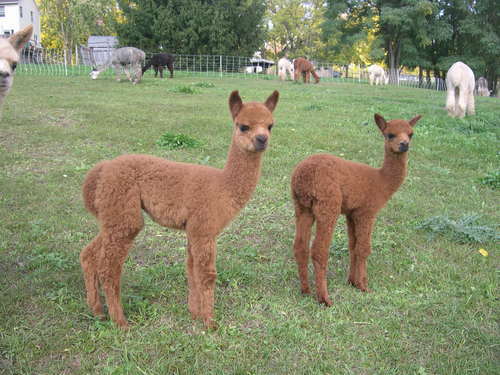 You can own and raise alpacas on any scale. 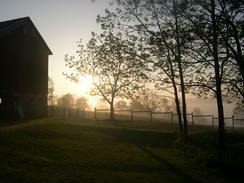 You can operate a large farm business or enjoy them as an individual as a hobby farm. In the alpaca world, depending on your personal goals and plans you can work at if full-time or have a rewarding experience with just two. (they need at least one as a companion). Alpacas are really in a class by themselves. 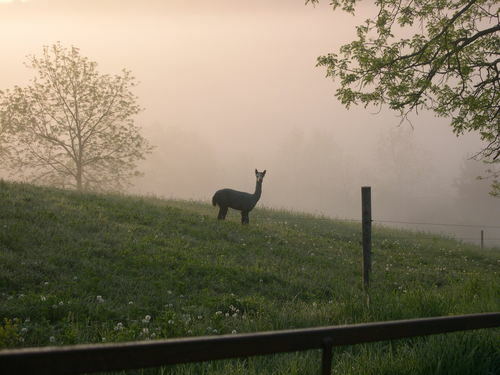 We are a member of The Empire Association and the national Alpaca Owners Association (AOA) as well.